Subject to availability. Booking 24 hours in advance is essential. Please contact Medeival Banquet directly to redeem your ticket using your iVenture Card. Fri/Sat nights available on request direct to the operator at £20.00 supplement per person. 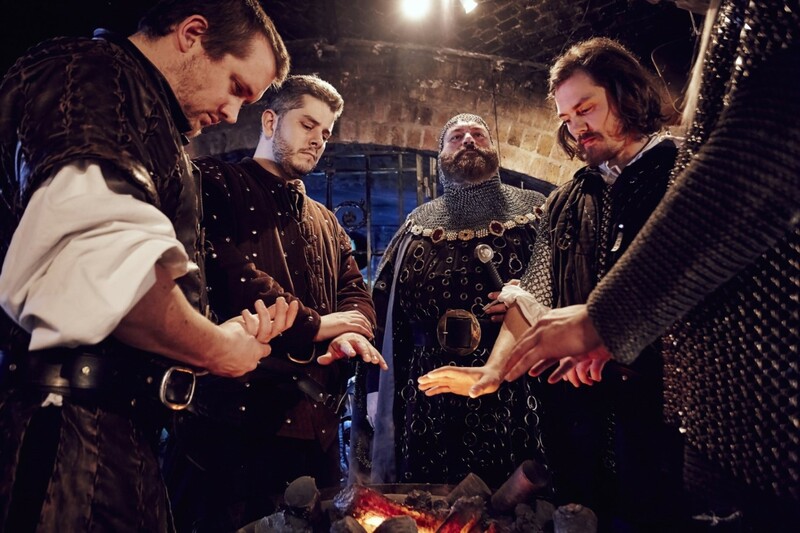 The modern setting of London’s Docklands might seem an odd location for a medieval banquet, but step inside the Ivory Vaults at St Katharine’s Dock and you will be instantly transported back to the time of King Henry VIII for an exciting four course feast with ale and wine. 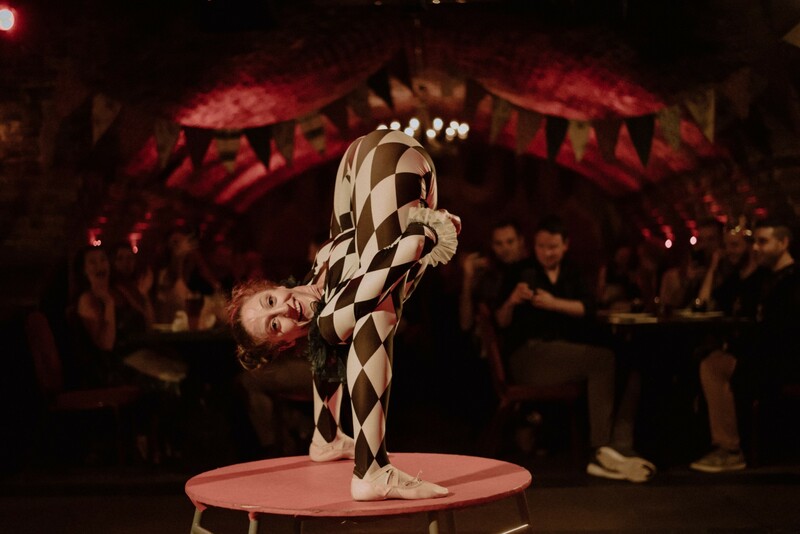 You’ll also get to experience 15th century entertainment including jesters, acrobats and knights. Shout for your wench or dance with a lord! This is one dinner that you will never forget. Eat, drink and be merry! 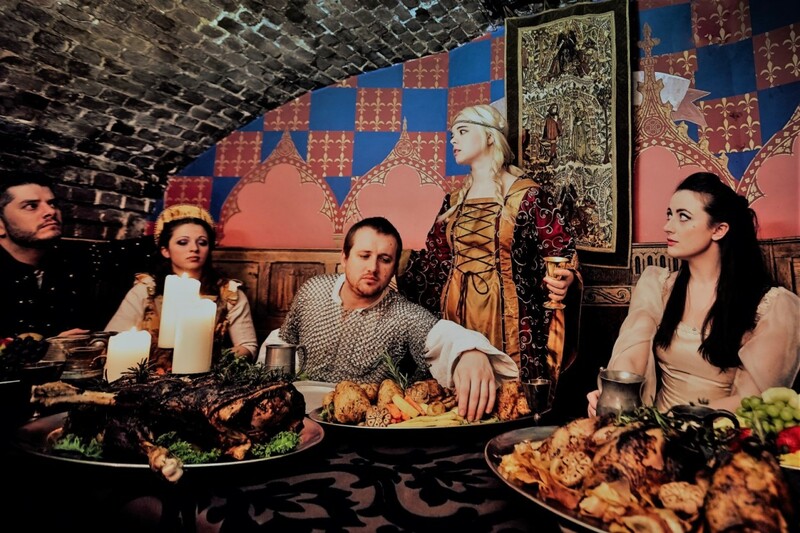 The Medieval Banquet is all this and much more, offering a great evening’s entertainment with plenty of ye olde feasting. 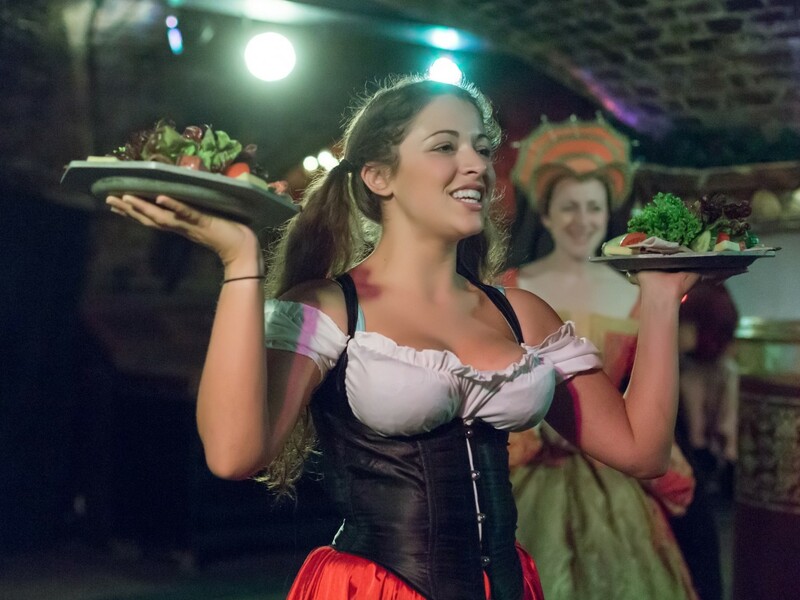 While you satisfy your appetite and thirst, battling knights, dancing wenches, acrobats, jugglers and kings and queens all perform for your merriment! You may be asked to join in with some of the action. Of course, you don’t have to participate to have fun. If you want, simply bang on the table for a wench to refill your goblet while your take in all the sights and sounds of medieval England. St Katherine’s Dock is a good place to explore in itself and easy to get to with a number of transport options including a nearby Underground station at Tower Hill and Fenchurch St, as well as plenty of London bus routes. 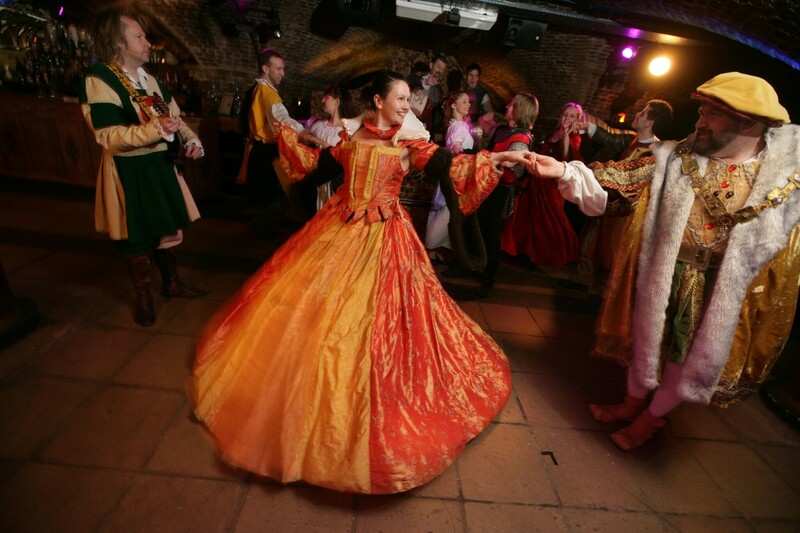 The venue is just a two-minute walk from the Tower of London. 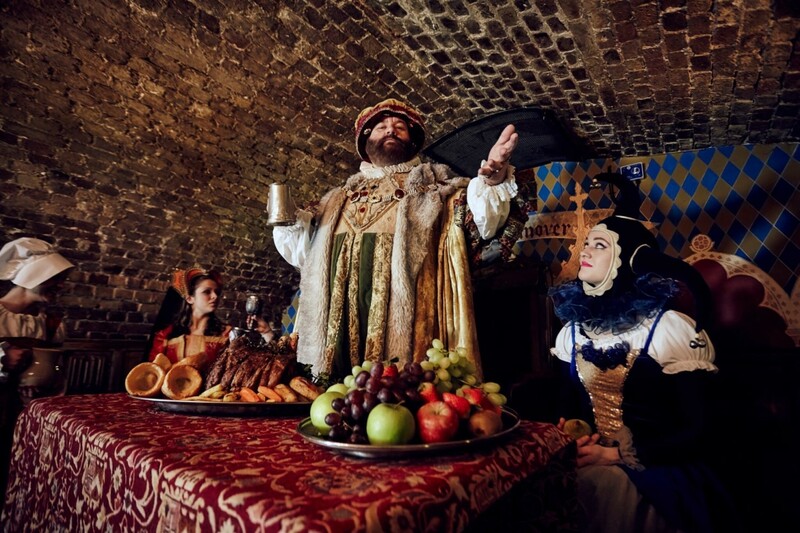 If you’re looking for somewhere to eat after a day out in London, perhaps after a visit to the nearby Tower of London, then the Medieval Banquet is, quite literally, right up your street. Vegetarians are catered for and the price of entry includes all ale, wine, or juice. If you wish, you can purchase other drinks from the competitively priced bar. The nearest tube station is Tower Hill (Circle and District Line).